I'm sorry, but does this plate not look like something you would get in a restaurant? For dinner, we had a basic shell steak on the grill that had marinated for 2 days in Lawry's Sesame Ginger marinade. That is tasty stuff. 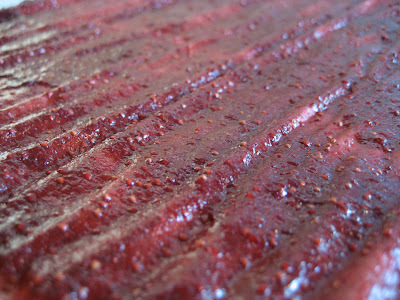 But the Asian flavors in the marinade don't lend to corn on the cob the way the typical steakhouse marinade I use does. The vegetables were crisp and colorful ... I don't know why we don't use the wok more often. Heat the sesame oil over high heat in a wok. Add broccoli and peppers. Toss, cover tightly and cook for 5 minutes. Add plum sauce and soy sauce, stirring to mix well. Add garlic, mushrooms and corn. Toss, cover and cook another 3-5 minutes. Add water chestnuts, peapods, bok choy and scallions. Cover and cook for 3 minutes, just until bok choy has wilted. Serve over rice or by itself. Is there anything better than fresh caught fish on a New England summer's eve? OK, so it wasn't "caught," but they were fresh and picked (?) that day. And it's not quite summer yet, but it sure feels like it. Next to a good old-fashioned BBQ, this meal is second in my favorite summer meals. Boil pasta until only cooked halfway (it will finish cooking in the sauce later). Meanwhile, in a high-sided skillet, heat olive oil over medium heat. Add onions and cook until translucent. Add garlic and saute another 2 minutes. Be careful not to burn the garlic. 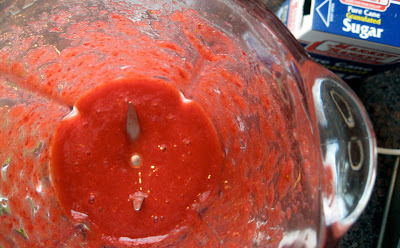 Add the wine and tomato paste, stirring constantly and until the wine has almost completely evaporated. Add diced tomatoes (with juice) and clam juice. Bring to a boil and add the chopped clams. Cook for 3-4 minutes until clams are cooked through. Add partially cooked pasta and toss well. Add clams and mussels and cover the pot tightly. Allow shells to steam open, about 7 minutes. Toss in fresh parsley and serve immediately. I am no Daring Baker (it was their February baking challenge) but with three ingredients, how could I not try this recipe? I'm not a huge dessert person, nor am I a baker, so really the only appeal of this recipe was the fact that it only had three ingredients. Fortunately, this was a very successful recipe for this non-baker. Notes: I halved the recipe and filled three 5" ramekins (the kind you would use for creme brulee). Only half of each cake could be eaten at a time. These are SO RICH! Since I couldn't halve an egg, I used 2 eggs separated, and added 1/8 cup of Egg Beaters to the egg yolk bowl. I also didn't line the sides of my ramekins with parchment (they were scalloped...I can't be bothered with the time it would have taken), so I sprayed with non-stick cooking spray and the cakes unmolded perfectly. Tasted perfect too, fake egg and all. Put chocolate and butter in a heatproof bowl and set over a pan of simmering water (the bottom of the bowl should not touch the water) and melt, stirring often. While your chocolate butter mixture is cooling. Butter your pan (an 8" or 9" spring form pan works best, or six 5 ramekins) and line with parchment, then butter the parchment. Separate the egg yolks from the egg whites and put into two medium/large bowls. Whip the egg whites in a medium/large grease free bowl until stiff peaks are formed (do not over-whip or the cake will be dry). With the same beater beat the egg yolks together. Add the egg yolks to the cooled chocolate. Fold (don't stir!) in 1/3 of the egg whites into the chocolate mixture and follow with remaining 2/3rds. Fold until no white remains without deflating the batter. Pour batter into prepared pan, the batter should fill the pan 3/4 of the way full, and bake at 375 degrees for 25 minutes until an instant read thermometer reads 140F/60C. (Note – If you do not have an instant read thermometer, the top of the cake will look similar to a brownie and a cake tester will appear wet.) Cool cake on a rack for 10 minutes then unmold. My fondest memory of Purim is being at a Purim party at my synagogue when I was about 9 or 10, and my best friend's dad got sooo drunk when we were reading the Megillah (the story of Purim). My friend's dad was a very quiet, reserved man (and was also slightly more religious than I was familiar with) and to see him drunk was the shock of shockers. The reason he was drunk was because when you are reading the Megillah, you are supposed to drink and make lots of noise every time the name "Hamen" is read (he's the villian in the story). And the reason we eat hamentaschen (translation: Hamen's pockets), is to symbolically destroy his memory. And they are triangles is because it seems Hamen wore a triangular-shaped hat (how fashionable!). Anywho, unfortunately I don't really have a personal story behind hamentashen other than that are yummy, and I'm sick of spending $5 for 6 of them at Whole Foods. Guess what? I like mine better, though the ones at Whole Foods are definitely prettier (the picture at the top is of one of the good ones that I made...scroll down for a glimpse at how most of the rest of the gang came out). Note: I found this dough really, really sticky and it was hard to work quickly with it, which is why I think my cookies were so sad looking in the end. If they were colder when they went into the oven, maybe they wouldn't have collapsed as much. In a large bowl, mix flour, sugar and baking powder. Then, using a pastry blender (or 2 knives in a criss-crossing motion), cut the cold butter into the dry ingredients, until the mixture resembles a crumb consistency. In a separate bowl, mix the eggs and vanilla extract. Stir in to larger bowl and mix until the dough creates a ball. Add extra flour one tablespoon at a time if dough is too sticky. 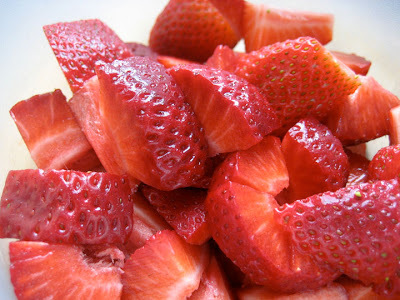 Cover and refrigerate for at least 2 hours, or up to 24 hours. Preheat oven to 350 degrees. Lightly flour your work surface, and roll out 1/4 of the dough to 1/8" thickness. 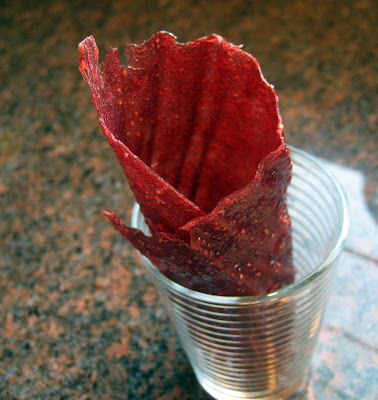 Cut into rounds using a cookie cutter or drinking glass (I used a 4" drinking glass). Spoon 1 teaspoon of apricot preserves into the center of each round. Bring up the edges to create 3 sides, and pinch corners together (wet your fingers if the dough won't stay closed). Places formed cookies 2" apart on a parchment-lined baking sheet. Repeat until all dough is used. Bake for 12-15 minutes until golden brown the bottom and on corners. Transfer to a wire rack immediately. Thanks for the delicious pic, Steph! About 10 years ago, I had what I think was Potato Leek Soup once. I actually think it was vichyssoise, which is (I think) COLD potato leek soup. It was awful. Cold and so salty I could barely stomach 2 spoonfuls. So since then, I have been deathly afraid of the dreaded potato-leek combo. Enter my new kitchen toy: the immersion blender. I have been eyeing one for a while ever since I decided that I would attempt to make my own baby food. I finally got one 2 weeks ago and I have been dying to puree everything in sight. I solicited for recipes in my Facebook status and several versions of the potato-leek combos were thrown back at me. No thanks. THEN, I was helping a friend cook an anniversary dinner for her husband and she wanted to make potato leek soup. Argh...potato and leeks: my archenemy of the food combination world. I remembered that it would be hot and we could control the salt content. It came out pretty good and I really liked it, but it tasted a little too much like mashed potato soup, probably from the butter and whole milk we used. So here is my lighter, less-mashed-potatoey version. A definite keeper! I just can't get enough soup in the winter! P.S. Happy Anniversary, Steph and Ian! Heat olive oil in a large stockpot over medium high heat. Add leeks, carrot and celery. Cover and cook for 10 minutes, until soft (do not brown). Add water, broth and potatoes. Cover, and simmer for 20 minutes. Remove from heat. Add milk and parsley. 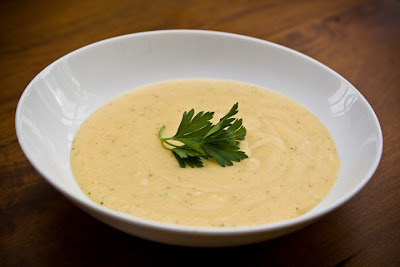 Using an immersion blender, puree soup until texture is smooth and even throughout. Careful not to overblend as the potatoes can break down too much and get gummy. Stir in dried dill and salt and pepper to taste. Yields about 8 servings (3/4 cup per serving). Oh, picture, wherefore art thou? when we ate it the first time, and then I froze the remainder too quickly. I saw this recipe in a recent issue of Rachael Ray's magazine and let's face it—while RR pushes fresh ingredients, she's not exactly pushing low-cal, low-fat options. Nonetheless, I love her despite her annoying perkiness. And I love the ease of her recipes. I thrive on the challenges of figuring out how I can make them (and anyone else's) more "figure-friendly." And interestingly enough, the recipe she printed was actually a remake of an even fattier reader submitted recipe. This soup was soooooo good. And hearty! My husband and I actually ate it for dinner one night on its own. And soup is rarely enough to serve as the main course around here. Enjoy! Place the dried mushrooms and 1 cup chicken broth in the bowl of a food processor, and soak for 10 minutes. Process until coarsely chopped; set aside. In a Dutch oven, heat the olive oil over medium heat. Add carrots, onion, and thyme and cook for about 5-7 minutes. Add processed mushrooms, stir, and cook for one minute. Stir in 5 cups of chicken broth, rice and mushrooms and bring to a boil. Add chicken breast, lower heat to a simmer, and stir occasionally. Simmer for about 25 minutes, or until rice is tender and chicken is cooked through. Transfer cooked chicken to a plate and shred; add shredded chicken back to the pot. Stir in the cream, remaining cup of chicken broth, season with salt and pepper, and simmer for 5 minutes. I can't remember where or when I fell in love with tilapia. I feel like it just all of a sudden magically appeared in my shopping cart one day at the store, and we have been in love ever since. 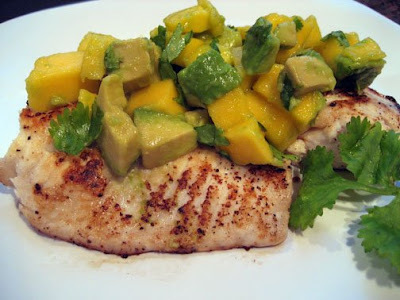 I found a dish at a local seafood restaurant that used a mango salsa on tilapia but without the avocado. One night, I found myself with a ripe mango and avocado and decided to get crazy. Let me tell you—when the mango and avocado start to warm up from the hot fish, their flavors really come out in ways I've never had them before. Slice avocado in half, and remove pit. Carefully remove flesh and cube into 1/2" pieces. Do the same for the mango. Toss in a bowl with half of the lime juice and cilantro. Set aside. Wash the tilapia fillets and pat dry. Sprinkle remaining lime juice over fillets, and season with salt and pepper, onion powder, and garlic powder. Spray a large skillet with non-stick cooking spray and place over medium heat. Place tilapia fillets in the skillet. Cook for 3-4minutes on each side, until cooked through. Remove fillets from pan and divide salsa equally over tilapia. Garnish with cilantro and serve immediately. My daughter. Couldn't you just eat her up? 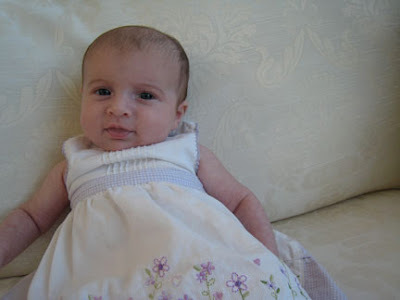 She was born on October 17, 2008 and we have been in love since the second we laid eyes on her. Mmmm....soup. I heart soup. Thick, hearty, stomach-filling soups. But I rarely eat it when I go out. I'm a big believer in that soup must be homemade. And lately I've been watching way too many reality TV shows about restaurants (can you say Kitchen Nightmares?) to know that most things in restaurants are not homemade. While pregnant, I went to the Olive Garden for the Soup & Salad lunch deal with a few coworkers. 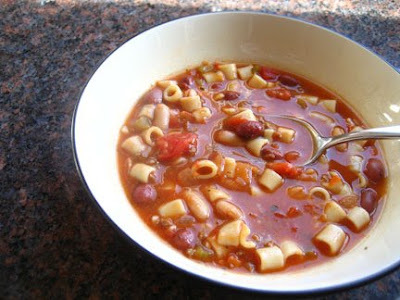 I had the Pasta e Fagiole for the first time (first time ever...not just at the OG) and I fell in love! I soured the internet looking for a copycat recipe and found this one. It's not the same as the OG, but its pretty damn good. Heat a large stock pot over medium heat. Add beef; break up and cook until cooked through. Drain fat. Add celery, carrot, onion and garlic and saute for about 10 minutes. Add remaining ingredients, except macaroni, and bring to a boil. Turn down heat to low and simmer for one hour. After 50 minutes, boil macaroni and cook to al dente. Drain well, and add to soup. Simmer for 10 minutes. WW info: 5 points per serving. I am the laziest blogger ever. I know I haven't updated in ....oh, who knows how long. Bu the sad part is that I DO have several recipes to add, I'm just too lazy to download the pics off my camera or type up the recipes. What I am NOT too lazy to do is read other people's blogs and find this little contest from Pennies on a Platter. And fast forward to 6-7 months from now when my baby lives outside my body and is eating food.....I plan on making my own baby food (and blogging it), which means pureeing everything, which means liquid food everywhere, which means liquid food on my clothes. 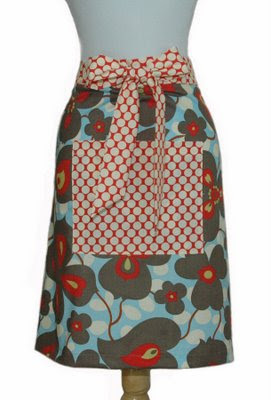 So I'm crossing my fingers that I win this apron because Mama's gonna need it. Happy blog-iversary to me! My one year anniversary of starting the ramblings of the Foodie Fashionista has completely snuck up on me. As Cookie Monster once said on Sesame Street, "If I knew you were coming I'd have baked a cake....baked a cake...baked a cake...." BUT...I don't really bake. But I do grill. My new motto is "Grill once, eat as many times as possible." Tuesday night I grilled steak tips. Nothing fancy. Just marinated in Lawry's Steak and Chop marinade. But I always make enough to last one dinner and at least 2 salads worth. Wednesday's and Thursday's lunches were a salad with romaine, tomato, corn, red pepper, red onion, avocado and some sliced steak. Yum. And by the time dinner came around on Thursday, it was time to get rid of the steak. I can't explain where the inspiration came for this. I think it was my constant craving for cheese lately. And the abundance of leftover steak and peppers in my fridge. Preheat a George Foreman grille or panini press. Spray a large skillet with non stick cooking spray and heat over medium-heat. Add in peppers and onions and cover, allowing to soften for about 5 minutes. Add in steak and cumin, and toss well. Cook until steak is heated through. Remove from heat. Spray one side of a wrap with cooking spray and place sprayed-side down on preheated grill. Arrange about 1/4 of the peppers, onions and steak on one half of the wrap and add 1/4 cup cheese. Fold over wrap to cover, and press. Cook until cheese is melted and wrap begins to get brown and crispy. 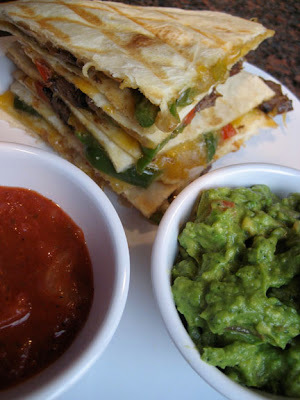 Serve with salsa, guacamole, and/or fat-free sour cream. 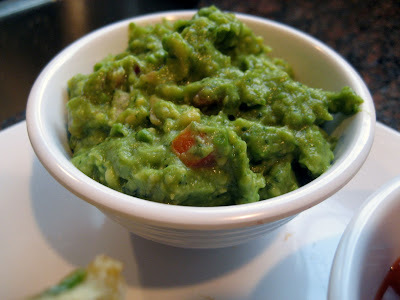 In my opinion, guacamole doesn't really need a recipe. I just make it to suit my taste. You need avocado, lemon juice, salt cilantro, diced and seeded tomato, and diced red onion. I start with mashing the avocado and adding the lemon juice and salt to taste. Then add the tomato and red onion to reach your desired chunkiness. I could eat this every day. FLEX - i'd guess about 2 points per 3 Tbsp. 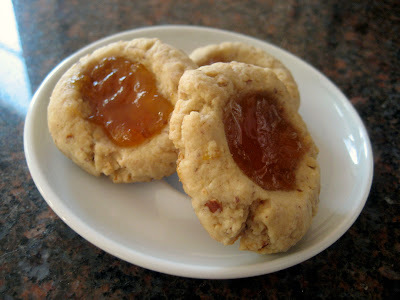 If you are a loyal reader of my blog, you'll know that I am no good at making cookies. So I give up. I'm throwing in the towel. But that doesn't mean I've given up on baking all together. 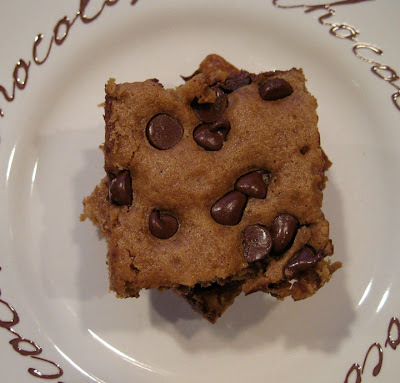 I've made a successful brownie in the past, so why not try a cookie in a brownie form. 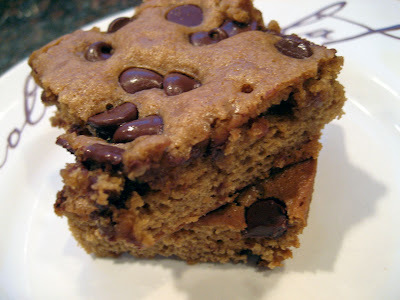 More commonly known as a blondie, these chocolate chips bars are the real deal. I'm not calling them blondies though. since traditionally blondies have nuts in them, and I am not a nut person. I might be nutty sometimes, but I like to keep the nuts out of my brownies and blondies. Preheat oven to 350 degrees and spray a 8x8 baking pan with non-stick cooking spray; set aside. In a medium saucepan, heat brown sugar and butter over medium heat until butter melts and the mixture is smooth, stirring constantly. Cool slightly. In a large bowl, beat the egg and vanilla. Slowly pour in the butter and sugar mixture, stirring constantly. Mix in flour, baking powder and baking soda. Spread batter in prepared baking pan. Sprinkle with chocolate chips. Bake in preheated oven for 25-30 minutes or until a wooden toothpick inserted near center comes out clean. Allow to cool completely before cutting into bars. I haven't been blogging much but I religiously keep up with my blog reading (thank you, Google Reader!). I bookmarked Crash-Hot Potatoes at the Technicolor Kitchen and was inspired to alter it slightly. Being in the mood for baked potatoes one particular night but only have small white potatoes, I combined Patricia's recipe and a stuffed baked potato. Smiles and clean plates were plentiful that evening. Bring a large pot of water to a boil and add potatoes; boil for about 10-15 minutes, until soft yet firm. Drain, and arrange on a baking sheet sprayed with non-stick cooking spray. Using the flat end of a meat mallet, squash each potato flat, until it is twice its original diameter. Drizzle the tops with olive oil, and scatter with salt and pepper. Bake on the top shelf of the oven for 20 minutes until crisp and golden brown. Remove baking sheet from the oven and add approximately 1 tablespoon of shredded cheese to the top of each potato and give each mound of cheese a quick squirt of cooking spray (to aid in the melting if using fat-free cheese). Return to oven for 3-4 minutes, until cheese is melted. Remove from oven. Mix 1 tablespoon of the chives into the sour cream in a small bowl and dollop about 1 tablespoon of sour cream on top of each potato. Garnish with remaining chives. Where I'm from (New York City), Italian bread comes in a long, skinny loaf like a French baguette. When I moved to MA, I found that the local Italian bread is a short, fat loaf that you can't really slice into small appetizer-size pieces, which is why I tend to use a French baguette for this particular dish. I promise the appetizer will disappear very quickly, so be sure to make plenty. Or serve it as a side dish like I do when I'm grilling steak. Preheat oven to 400 degrees. Slice bread on the diagonal, making about 30 slices, each about 1/2" thick (quantity based on a loaf about 2' long). Lay slices on a baking sheet and bake until crispy. While the bread is in the oven, toss the tomatoes, onion, mozzarella, basil and olive oil in a bowl. Add a pinch of salt and pepper. 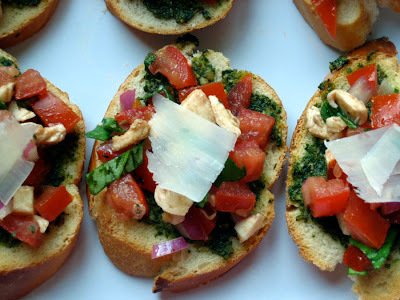 Spread about 1/2 teaspoon of pesto on each slice of bread. Top each with a about 2 tablespoons of tomato mixture and thin sliver of Parmigiano Reggiano cheese. Yields about 30 slices (depends on length of bread loaf). It's fate that this month's Tasty Tools event is The Mighty Blender. I've had this recipe bookmarked since I first saw it in the May issue of Gourmet, and it just happens to utilize a blender! And I mean, come on....who doesn't LOVE Fruit Roll Ups?!?! You can use parchment paper in place of the Silpat. You'll yield a less bumpy result with the Silpat, but not everyone has one, so use what ya got! I used a bit less sugar than the original recipe called for. It definitely depends on the strawberries you can get. I happened to find some that tasted as though they had been injected with sugar, so I cut the 3/4 cup down to a heaping 1/2 cup. Bring purée to a boil, then simmer over medium-low heat, stirring occasionally (more frequently toward end), until thick enough to mound slightly, 45 minutes to 1 hour. Preheat oven to 200°F with rack in middle. Line a large baking sheet with nonstick liner (either Silpat or parchment paper). Pour hot purée onto liner and spread thinly (as evenly as possible) into a 15- by 10-inch rectangle using spatula. Dry purée in oven until it feels drier (it shouldn't stick to your fingers) but is still slightly tacky, about 2 hours. Place a sheet of parchment paper over leather, then peel leather off liner and roll up in parchment. My husband is a mac and cheese snob. Now, I don't mean he demands his macaroni served with truffle oil or anything like that. I just mean that he is just really, really picky when it comes this American classic. Next to my homemade macaroni and cheese, his favorite is Kraft in the blue box and Annie's. Its total comfort food. A few years ago, I discovered Martha Stewart's recipe for mac and cheese and we just fell in love. I make it all the time, yet interestingly enough, I've never blogged it. Maybe because it became such a staple that I never thought to blog it. That, and since my blog is mostly Weight Watchers recipes, and macaroni and cheese is NOT a WW friendly recipe. Then, a few weeks ago, I happened to catch Good Eats, For Whom the Cheese Melts 2, which was all about macaroni and cheese. Now everyone knows that Alton Brown "knows best." So since he claimed his macaroni was scientifically perfect, I had to try it. When I told my husband I was going to be trying a new mac and cheese recipe, there were a few grumbles under his breath about fixing that something that wasn't broken and divorce. Of course, I had to make a few edits after reading the reviews and others for personal preference. I omitted the mustard powder (my husband hates mustard with a passion) and the onions (honestly, this just seemed like a weird addition to this dish). Well, shuck my corn....my husband LOVED IT. I don't know if it was the mysterious flavor added by the paprika and bay leaf, or the slightly different consistency in the sauce (this sauce has less roux and an added egg compared to Martha's). Well, whatever it was, he went back for seconds and tried to make it back for thirds (but I stood between him and the dish). In a large pot of boiling, salted water cook the pasta to al dente. Rinse with cold water and set aside. While the pasta is cooking, in a separate pot, melt the butter. Whisk in the flour and keep it moving for about five minutes, making sure it's free of lumps. (Note: I have never made a successful roux. I always wind up with a ball of flour. If this happens to you, make sure you whisk the roux into the milk with a little extra elbow grease to break it up.) Stir in the milk, bay leaf, pepper and paprika. Simmer for ten minutes and remove the bay leaf. Beat egg in small bowl. Add about 1/4 cup of the hot milk, 1 tablespoon at a time, to the egg. (this is called tempering, when you raise the temperature of the beaten egg before adding it to the hot mixture, so you don't end up with scrambled eggs). Add egg mixture to the hot milk mixture and mix in thoroughly. Stir in 3/4 of the cheese. Season with salt. 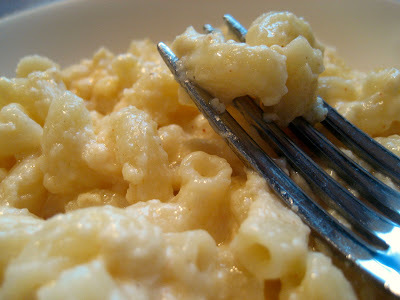 Fold the cooked macaroni into the mix and pour into a 2-quart casserole dish. Top with remaining cheese and then the bread crumbs. Spray top of casserole with cooking spray to evenly coat the bread crumbs. Bake for 30 minutes (I broiled for 3 minutes at the end to get a nice crunchy top). Remove from oven and rest for five minutes before serving. Yields 6-8 servings. My Weight Watchers eTools subscription has been temporarily discontinued due to my pregnancy, but I will be returning to WW just as soon as I am back on my feet, post-partum (due date is November 2, so just in time for the holidays!). If you would like to assist me in figuring out point values for recipes I am unable to calculate at this time, both myself and my loyal readers would much appreciate it. Please post in comments and I will update each recipe when points are supplied. Thanks! I've had this recipe bookmarked in my Google Reader for sometime now, but I'm embarrassed to admit that it was more for the heartfelt story that accompanied the recipe that the actual recipe. See, I'm an Aunt Jemima box mix kind of girl. And this morning, when I woke up and craved pancakes for breakfast (after eating matzoh for breakfast for a week straight), I was heartbroked to see that we were out of pancake mix. But then I remembered that I had this recipe filed in the back of my mind, and more importantly, all the ingredients in my pantry. These pancakes were perfect. Equal to or better than Aunt Jemima. 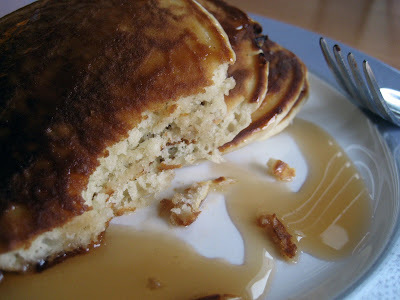 I made one small change: I left out the pecans and added a few chocolate chips for my husband. Thank you to the Homesick Texan for sharing her story and her recipe. Thanks to her grandpa, I need not ever buy pancake mix in a box ever again. In an effort to bring something for everyone to my in-laws for Passover (because not everyone likes cheesecake, including myself), I decided to attempt...the cookie. For those loyal readers of my blog, you know that "the cookie" and I have a history. Basically, they never come out right. They don't spread when they are supposed, they spread when they aren't supposed to...its a never-ending battle. These cookies were a HIT. Gobbled up. Gone. I doubled the recipe, which should have yielded 48 cookies. I got 42, so I guess some were bigger than others. Pulse almonds, sugar, matzo cake meal, and salt in a food processor until finely ground. (Be careful not to grind to a paste.) Transfer to a bowl and stir in butter, egg, and extracts until combined well. Chill dough, covered, until firm, about 30 minutes. While dough chills, put oven rack in middle position and preheat oven to 350°F. Drop level tablespoons of dough 1 inch apart onto 2 ungreased baking sheets. Roll dough into balls, then chill until slightly firm, about 10 minutes. Make a 1/2-inch-wide (1/3-inch-deep) indentation in center of each ball using your thumb, index finger, or the rounded end of a wooden spoon. Fill each indentation with 1/4 teaspoon jam and bake, 1 sheet at a time, until tops are pale golden and undersides are golden, 10 to 12 minutes. Transfer cookies to a rack and cool completely. Cookies keep in an airtight container at room temperature 3 days. This blog is not supported nor endorsed by any part of the Weight Watchers corporation. All point values are figured using the Weight Watchers eTools and are assumed to be as accurate as possible. Recipes that are labeled as "Core (WW)" may contain trace amounts of non-Core ingredients, but the point value per serving of those ingredients would figure to be .5 points or less in all cases. If you see a discrepency, feel free to leave a comment on that recipe and I will look into it as quickly as possible. PLEASE NOTE: Our system deactivates your counter automatically if code is altered.